We hope that you are having peaceful and hopeful festive moments at this time of the year. As far as we are concerned, we can only continue to wish you well in your Peace and Hope of the Season’s Reliefs. As we informed you last week, we have scaled down our services and activities to take into account the Season’s needs and demands of break. For children, young people and families in need on whose behalf we relentlessly advocate, we can expect that they have managed to generate some little extras incomes they need to cover the extra expenses of the Season’s financial pressures. More importantly than anything else, they are managing to exercise their right to decent and deserving festive celebrations. Remember, CENFACS’ Charity e-Store is opened like any online shop during the festive period for either to shop or donate goods. Every time you shop or donate goods at CENFACS’ Charity e-Store, you make a helpful difference to people in need over this festive time and beyond it. 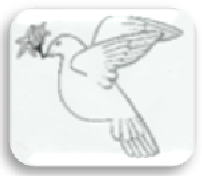 The celebratory theme for the Season’s Reliefs is PEACE while the theme for the Season of Light is HOPE. As our all year-round projects (i.e. Play, Run and Vote for poverty relief and development) come to a close, we would like to take this opportunity to thank those who responded to our call for Action-Results 2017. We would like as well to express our gratitude to those who replied to the Community Value Chains, the CENFACS Community, by adding their talents and skills to our register. Finally, wherever you are in any part of the world to celebrate the end of the year 2017, we would like to reiterate our thank you for your support for 2017. To you and all our web visitors, blog readers and commentators, users, supporters and other stakeholders; we wish you a Peaceful and Hopeful Season.